Delhi, the capital of the largest democracy in the world, is much more than just a capital and a metropolitan city. 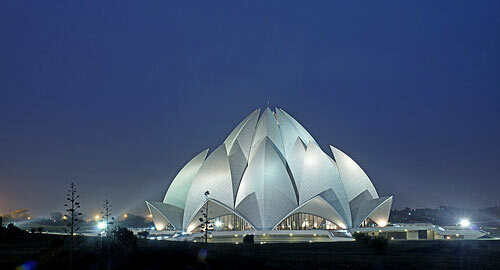 Along with the modern developments, Delhi has very well retained all its past heritages. One of the oldest cities in the world, Delhi is the right honeymoon place in India for those who have fascination for history, heritage and culture. Honeymoon in Delhi is the best option because of its convenient connectivity with the entire world, well-developed accommodation facilities, good tourist attractions, lively bazaars and first-class eating joints. It is really difficult to find serenity in Delhi but still there are quite a few places you would love to visit on Honeymoon in Delhi such as the Mughal Garden, Lodhi Garden, Buddha Jayanti Park, National Zoological Park and Garden of Five Senses. Appu Ghar and Fun 'N' Food Village are the two amusement parks in Delhi where the honeymooners can spend some time returning back to their childhood times. Honeymoon in Delhi is also the period to indulge in shopping of gifts for your life partners, souvenirs to carry back home to remind you of your first time spent together and gifts for dear ones. In Delhi, you will find any thing that you can fancy about from trinkets to jewelry, from clothes to furnishing and from antiques to modern gizmos. So stroll across the market places such as Connaught Place, Janpath, Karol Bagh, Chandni Chowk, Lajpat Nagar, Sarojini Nagar, South Extension and Greater Kailash on Honeymoon in Delhi. If you want to extend your honeymoon period, than you can go to the deserts of Rajasthan; Hill stations of Kashmir, Himachal Pradesh and Uttaranchal or the heritage cities of Agra and Jaipur. Honeymoon in Delhi offers you an opportunity to explore the rest of the North India because of its convenient location and easy connectivity.